The one that got away! 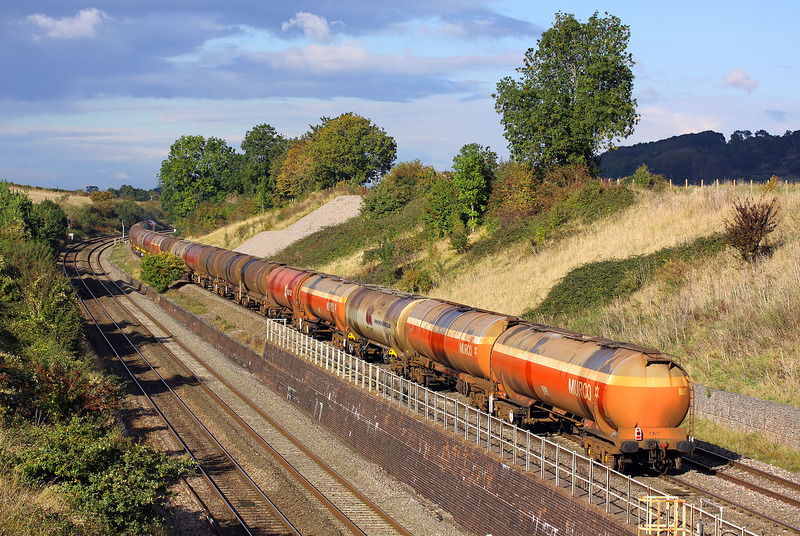 Despite leaving home in plenty of time to get to Standish Junction to photograph the diverted 6B33 13:00 Theale to Robeston Murco oil empties on 12 October 2016, I was most annoyed to find the train passing underneath the bridge as I arrived! It had managed to become half an hour early since I checked just before leaving home. So here for all wagon enthusiasts is the going away shot, with 60019 Port of Grimsby & Immingham heading off into the distance. The superb light, plus the unusual location (for 6B33) makes the picture worthwhile. Note the 'End' wording that someone has thoughtfully added to the last wagon!